As we argued in our previous communication, CENFACS does not only work in bringing and lighting a Blaze of Hope for the Victims of Destructive Wars and Natural Disasters. CENFACS takes the process of working with them further in helping them to overcome underlying poverty and hardships. CENFACS work with them and or their representative organisations to alleviate poverty and hardships as the lack of hopes and expectations. In the process of relieving poverty as the lack of hopes and expectations, the next step or phase of our advocacy is Rebuilding or Renewing Lives. We call it Rebuilding Africa. Rebuilding Africa can take place in countries for example that are experiencing embryonic democratic transition (like the Democratic Republic of Congo) or countries that came out of destructive natural disasters (for instance Madagascar) or countries that experiencing peace transition after destructive wars (similar to the current process in the Central African Republic) or even countries searching for a truly democratic transition (such as Algeria at the moment). For further details about the work on Rebuilding Africa, read under the Main Developments section of this post. The second note of our theme on protection is the Protection of People affected by Floods. This week, we are looking at what types of protection they need as we are dealing with the all sections of the population who could be affected. Under the Main Developments section of this post, we have provided the contents making this second note of our protection theme. Our Q Year and Project continue over this Easter season with the topic of renewing lives as we are trying to factorise “quadranscentenniality” into our renewal work this Easter. It is about looking at what the Q factor can play within the season of renewing lives. As the Q Project is about recalling the last 25 years of CENFACS, we can try to increase renewal by a factor of 25. So, the Q factor is an element that can contribute to the renewal of lives as it explains the outcomes that could have been achieved in working to reduce poverty and helping to renew lives over this time frame. Apart from this factorisation of “Quadranscentenniality”, we are looking back some of the works we did (our quadranscentennial legacy) in order to help renew lives here in the UK and in Africa for the people and communities affected by wars and natural disasters. For more information about the Q factor and the relationship between the Q Year and Season of Renewing Lives, please contact CENFACS. The Individual Capacity Development Programme (ICDP) resource entitled Holiday with Relief continue to be our source of reference this Easter holiday, together with its focus on Life Sustenance and Climate. For those who are looking for advice, tips and hints including fixers for their Easter holiday; our ICDP resource is a handy basic companion to consider for Holiday with Relief. It contains useful pieces of information for holiday with relief whether holiday makers stay at home or go away to pass their holiday. Its handiness and usefulness are as good for this year’s edition as for the previous issues. To request a copy of the ICDP resources, please contact CENFACS. 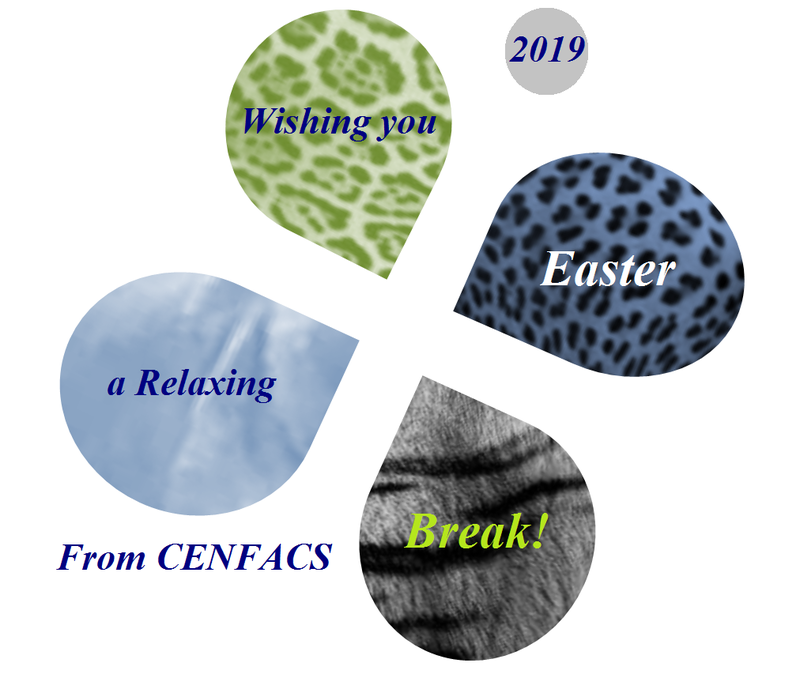 Whether you pass your Easter holiday at home or away, CENFACS wishes you a Very Relaxing Easter Break! Do something little this Easter at CENFACS Charity e-Store, the store built for you to help reduce poverty! We always need goods that people do not want or need or even want to recycle. We need SHOPPING as well. You can shop at CENFACS Charity e-Store this Easter. With your generous SHOPPING and or GOODS donations, these can be turned into cash and help to create an amazing experience of reducing poverty and hardships over this Easter and beyond for those in most pressing needs. Because CENFACS Charity e-Store is a digital one, you can shop or donate wherever you are, even if you are on Easter holiday, and at any time. The shop is opened 24 hours, 7 days a week. We have two exciting developments for you this week: Rebuilding Africa and Protection of People Affected by Floods. As argued above, Rebuilding is the next step in our process of helping in reducing the impacts and effects of war and natural disaster events. Saying that we are going to rebuild Africa, it does not mean that we are going to remake all the sectors of Africa from scratch. Rebuilding in the context of our poverty relief work has to be placed in the perspective of helping poor people and their organisations to overcome the ill effects of wars and natural disasters. It is down to Africans to rebuild Africa, not CENFACS. CENFACS as a charity just gives a helpful hand to them to reduce or better end poverty. Rebuilding Africa addresses the legacies left by destructive wars and natural disaster events. Every year, many human and wild lives as well as other ways of life have been destroyed as a result of wars, armed conflicts and environmental disasters. These events often lead to humanitarian catastrophes, emergencies, contingencies, crises and responses. What’s more, where there is destructive war, there is always a destruction of the environmental life. Examples of these Destroyed Lives are what happened in the Democratic Republic of Congo, in Chad, in the Central African Republic etc. Rebuilding Africa initiative tries to respond to these events by undertaking projects planning and development activity within CENFACS and in association with our Africa-based sister organisations. This planning and development process is within the context of enhancing our African Rebuilding and Sustaining Infrastructures and Lives programme. •• What are those projects or responses? Projects planning and development for responses could deal with environmental and war events. Project developments linked to both environmental and war events will be a process of projects planning and development that has a double response to environmental and war events for short, medium and long running crises. To be more specific, let takes the case of the Democratic Republic of Congo (DRC). The Democratic Republic of Congo (DRC) is a country that has recently transited to political democracy and that experienced wars for almost three decades and environmental impacts. With this transition, one can assume that DRC requires rebuilding. After CENFACS’ continuing appeals to light a blaze of hope for the victims of unfinished business of political democratisation processes, it is now the time for us to start advocating for rebuilding the DRC. The country managed against all the odds to peacefully transit to political democratisation with this year’s presidential election. There could be a need to talk about and think of short, medium and long term project developments that meet the basic needs in the new context of this country. One can hope that our Congolese Sister Organisations will seize the new opportunity and momentum provided by the newly elected governance to start a new process of rebuilding DRC from the legacies of wars and environmental events, so that the needs and ends of the ordinary Congolese can be met again like three decades ago. All the people affected by a flood event need to be protected from this event. This protection includes the protection of those who are victims of floods and those who help them. However, like in any situation or catastrophic event, there are always those who are weak, sick, vulnerable and defenseless. For those ones, perhaps a much needed attention has to be deployed. So, this week’s protection work will focus on the people affected by floods. •• Who are those people who need protection from floods? •• How do they get cover from the damage, loss and harm from floods? Our Appeal for Renewing Lives in flood-affected African countries (Burundi, Madagascar and Niger) which was published last week in the context of our ReLive Issue No. 11 of this Spring provides answer to the above question. The answer may not be complete, but it indicates what needs to be done. In this Issue No.11 of ReLive, we have run a poverty relief model of 14 Gifts in 20 Reliefs as our way of responding to the people affected by floods in these African countries. The propositions made for flood relief in this Issue No. 11 and in our model are applicable to many flood cases, although one should be cautious in generalising them. The model is restrictive and applicable to the above case of these African countries. We are not sure if it is replicable or extendable to others cases in other regions of the world. Every flood situation needs to be treated on its own merit while customising solutions. Thank you as well to those who made or make comments about our weekly posts. We look forward to receiving your regular visits and continuing support throughout 2019.